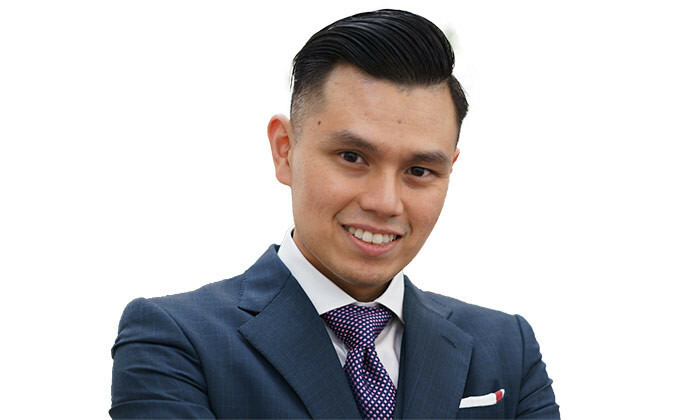 Jimmy Tan, head, VP and head of performance and rewards, Al Rajhi Bank Malaysia, reveals how to balance between the ‘need-to-haves’, ‘want-to-haves’ and ‘great-to-haves’, when rolling out new HR tools and ideas. You’ve been in HR nearly eight years now. What intrigues you most about it? The dynamism and learning opportunities it offers! HR is one of the rare fields which transcends all aspects of an organisation by being in the business of engaging and driving talent towards a common goal. This provides challenges, thoughts, ideas and solutions that test your knowledge and ingenuity day in and day out, so there is never a boring day! You’ve worked on various areas of HR, from learning to performance management. Which one have you enjoyed the most? It’s hard to pinpoint one area, but I have spent a bulk of my career in compensation and benefits, and I am tempted to say that is perhaps the area I have enjoyed the most. To me, C&B offers the perfect mix of the analytical and the human side of HR. It is always interesting to see the assumptions we make based on data and feedback might not always correlate with the actual expectations and behaviours of the employees once we roll out certain initiatives or schemes. The great news is that means we are able to collect more data and it enables the team to make more reliable assumptions that helps us to refine those initiatives into something our people want. And perhaps that ability to provide something that both benefits and excites others is why I enjoy this area. Can you describe a typical workday ? I think my peers would agree there is no typical workday for those in HR! My team maps out a set of initiatives and outcomes we want to accomplish in the beginning of the year and we break those down into specific projects that are carried out in stages or concurrently. So, a ‘typical’ day-to-day focus for us shifts according to the project we have at hand. I am blessed with an incredibly talented and supportive team empowered to run a lot of the operational necessities, and they are encouraged to find and implement solutions to issues we might face. This essentially frees myself up to focus on the more strategic side of things, which involves plenty of engagement with key stakeholders to keep continuously enhancing what we can offer to our talent. What is the number one HR issue that is on your agenda this year? Our current focus is on reviewing our performance and rewards tools, products, and strategy to allow us to better support and serve our organisation’s vision and mission. This means we engage the business as our strategic partners and they contribute valuable input to better anticipate their needs and adjust accordingly. This improves the relevance of our products, efficiency of our tools, and buy-in to our performance and rewards strategies. Great question! I think being able to straddle between the ‘need-to-haves’, ‘want-to-haves’ and ‘great-to-haves’ is the most critical and perhaps most difficult part of this job. It is always interesting to see the assumptions we make based on data and feedback might not always correlate with the expectations and behaviours of employees once we roll out initiatives. We constantly strive to give our employees a competitive package and strong reasons to be a part of the team. Through insights from market intelligence or internal stakeholder discussions, we are able to yield the ‘need-to-haves’, items such as certain industry or regulatory practice. Successfully identifying the ‘need-to-haves’ helps us to retain our key talents and negates the risk of breaking labour laws. It can also help inform us when we are scoping out our ‘want-to-haves’, such as certain practices from globally competitive players or ideas from employees. Lastly, we have what I term as ‘great-to-haves’ goals, which are visionary ideas by innovative thinkers that inspire us to think about our role as HR practitioners. From the revamping of performance evaluations to Amazon’s new corporate headquarters with a bio-dome of massive green spaces for their employees to have meetings or brainstorm and be inspired, these are the types of ideas that we take stock of and reimagine how we can fit them into our culture. Thus, it is crucial that we are able to be grounded in assessing the affordability, competitiveness and suitability of a certain item we want to provide while continuing to be the enabler for talent and creator of an environment that allows them to thrive in their work. Do you have an HR mentor, and what’s the best career advice they’ve given you? I have been incredibly lucky, that at every stage of my career, I have been given great guidance, and I’ve held on to three pieces of advice. First was that “it is okay to not know”. This gave me the courage to ask questions, share silly ideas, work harder and most importantly take on new challenges. All simply because I know it is okay to be unsure about something because as long as I apply myself, I won’t be in this state for long. Second was “to do great work, love what you do”. This speaks about the passion you bring into your role. Having the courage and the desire to learn and do more was the catalyst for me to take up very different and bigger challenges. For example, I did not have prior experiences in leading a department but I had the courage to try and the passion to be persistent and resilient until I succeeded in the role. Final advice? Simple… “Get a mentor!” The best athletes in the world are surrounded by many coaches and mentors who provide valuable feedback and advice, yet some of us may feel the bigger our titles are, the less advice we need. My mentors have consistently given me the advice, feedback, support and insights that have been instrumental to my career growth.